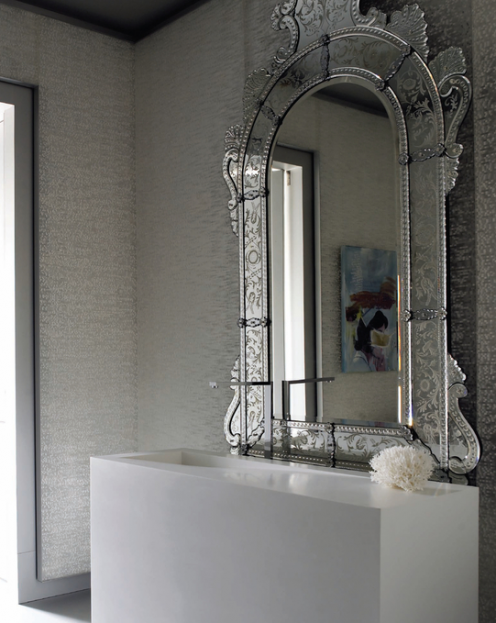 In the latest Interiors magazine, designer Vance Burk uses a Venetian mirror in the powder room of an LA residence to continue the house's "calm and contemplative" mood, and to "fuse simplicity and sensuality". 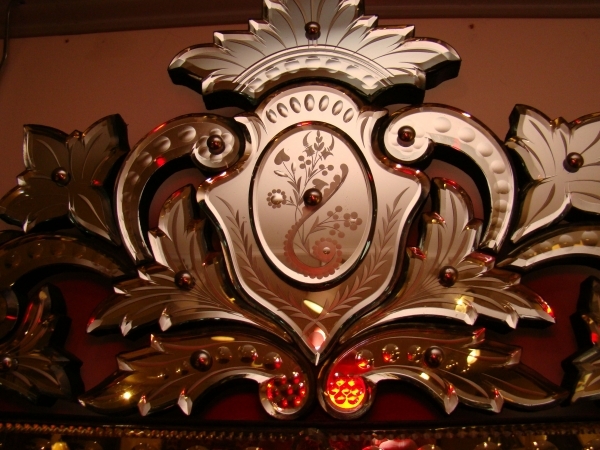 Burk shows that Venetian elegance can balance well with the client's "modern masterpieces". 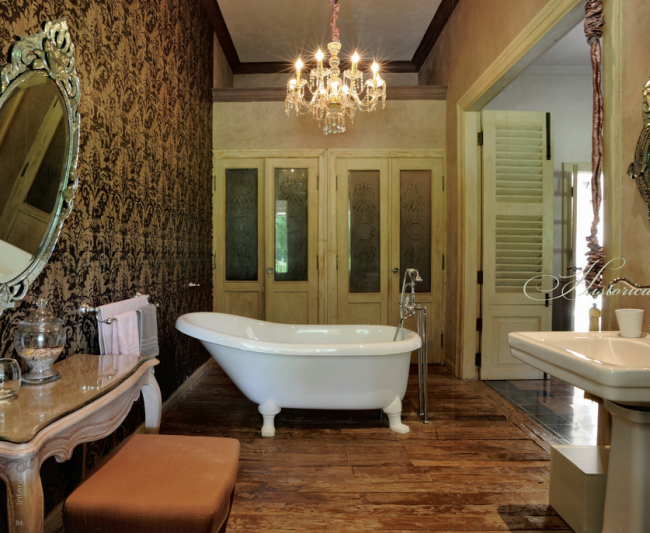 Earlier this summer Interiors took us to Bali where interior designer Zohra Boukhan includes a Venetian mirror in the bathroom's design to echo the home's "Balian spirit" with rooms aimed at "relaxation", "reflection",and "inspiration". 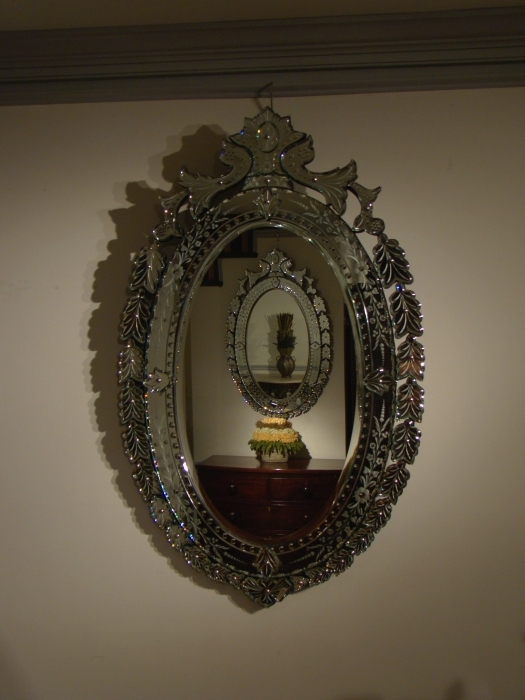 Great for bedrooms or bath, a well placed Venetian mirror truly creates an ornate and intimate place, a personal space. 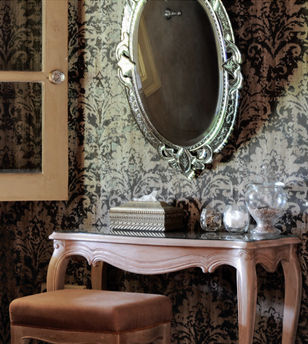 Rich in detail, these etched and cut glass Venetian mirrors create space and light in any room with elegant ease. 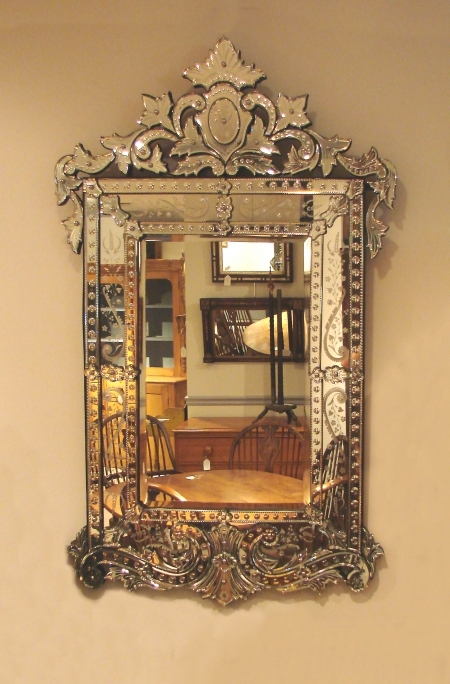 A pair of Venetian mirrors is great for those looking for a dramatic and glamorous statement. If you crave something luxurious or need a splash of flash, Venetian mirrors offer a flexible solution for many design needs. Public or private, classic or modern, a Venetian mirror can add elegance to your home.